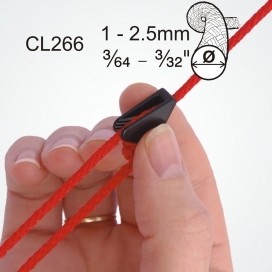 ClamCleat Mini Line-Lok® CL266 for 1-3mm lines - the world’s best guy runner. Locks lines securely. Will not slip. 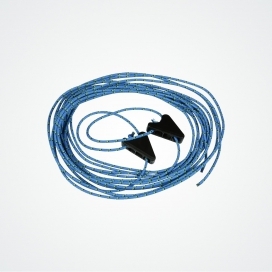 Ideal for ultra light weight tents and for tarp guy lines. ClamCleat Mini Line-Lok® CL266 for 1-2.5mm lines - the world’s best guy runner. Locks lines securely. Will not slip. Ideal for ultra light weight tents and for tarp guy lines.